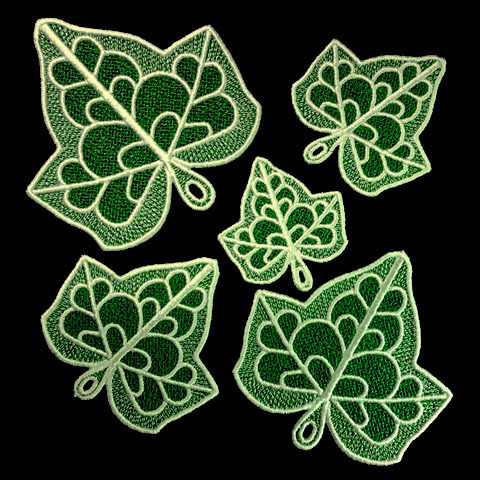 Scroll down for free designs. 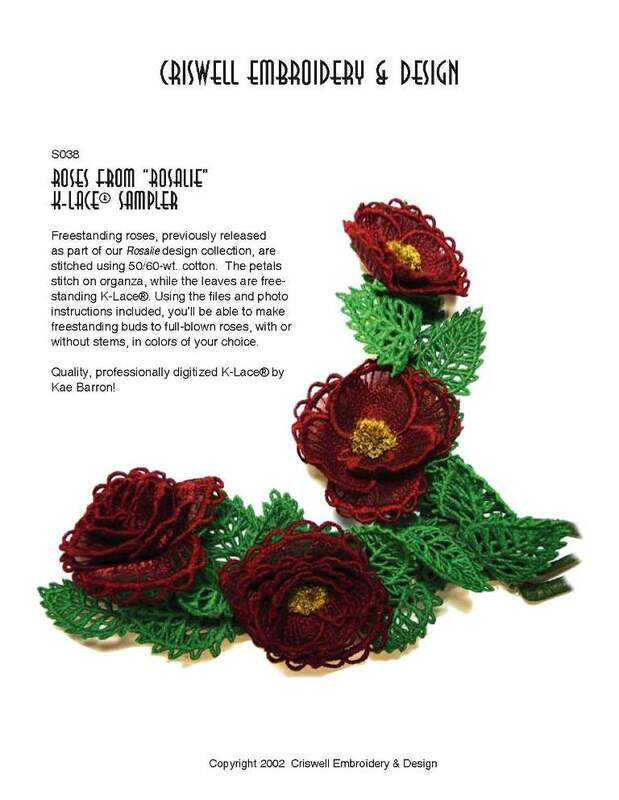 Five sizes, three styles, a total of 15 files to use for projects or on sticks in bouquets. 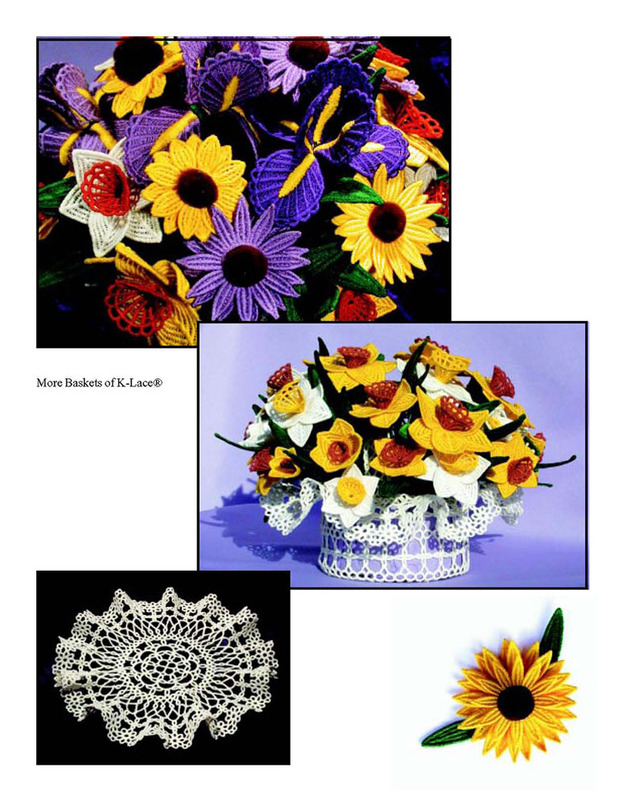 Vines, wreaths, arrangements are possible using your creativity. 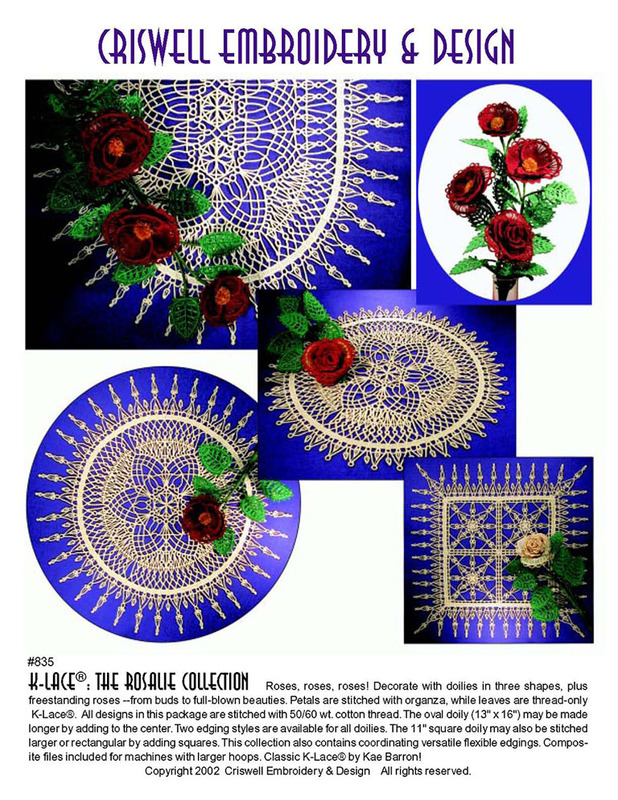 See our photo for ideas to get you started. 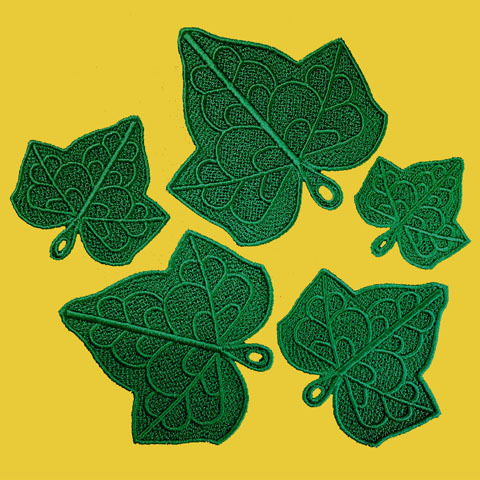 Matching small leaves with chains available here. 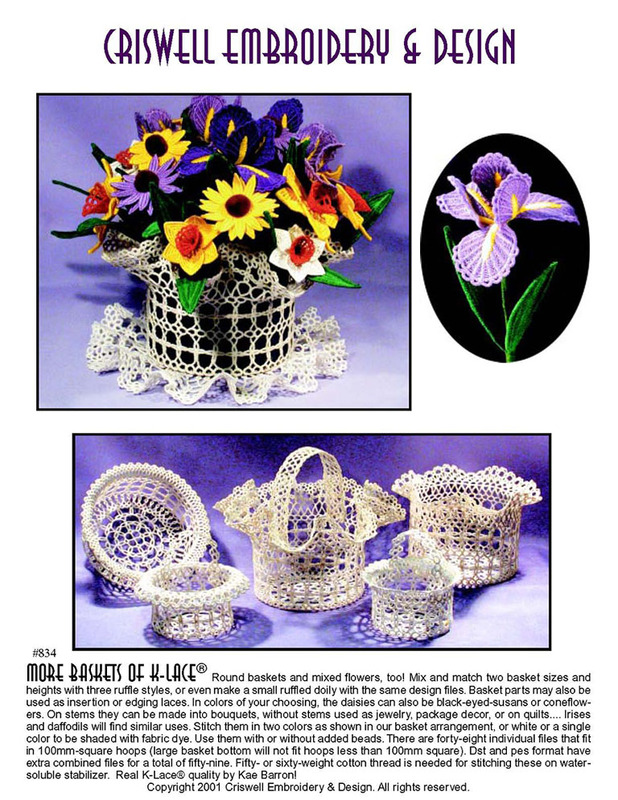 Sizes from 2.23" x 2.05" to 3.90" x 3.93"
Two round baskets, a ruffled doily and 3D daisies, iris and daffodils. 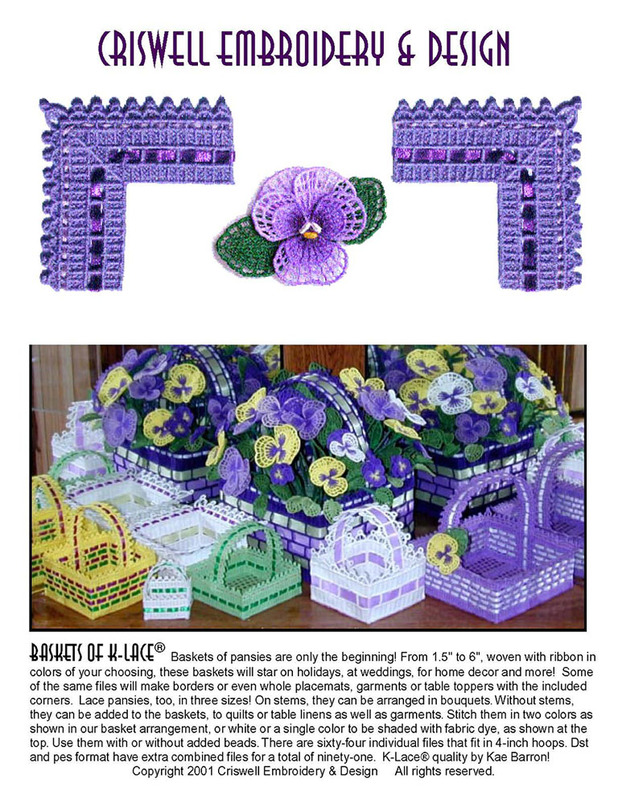 Portions of this set are available below. 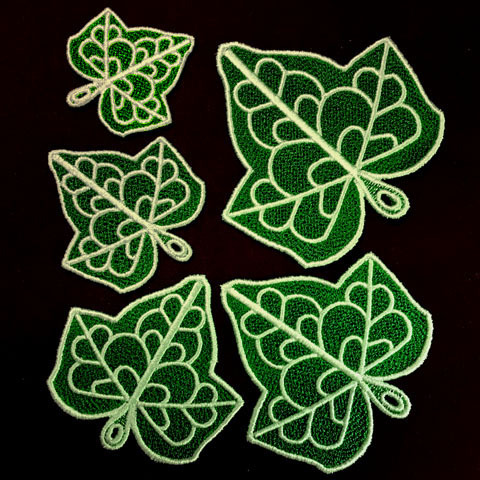 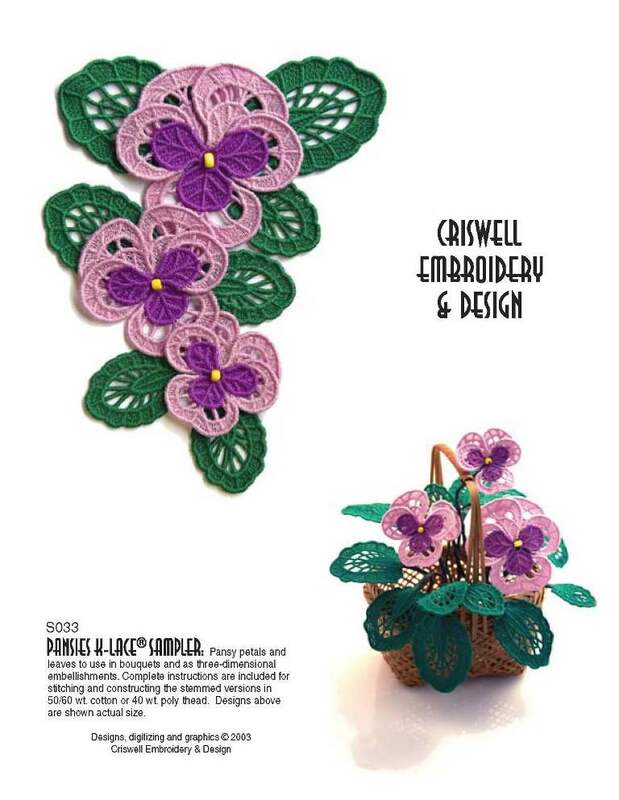 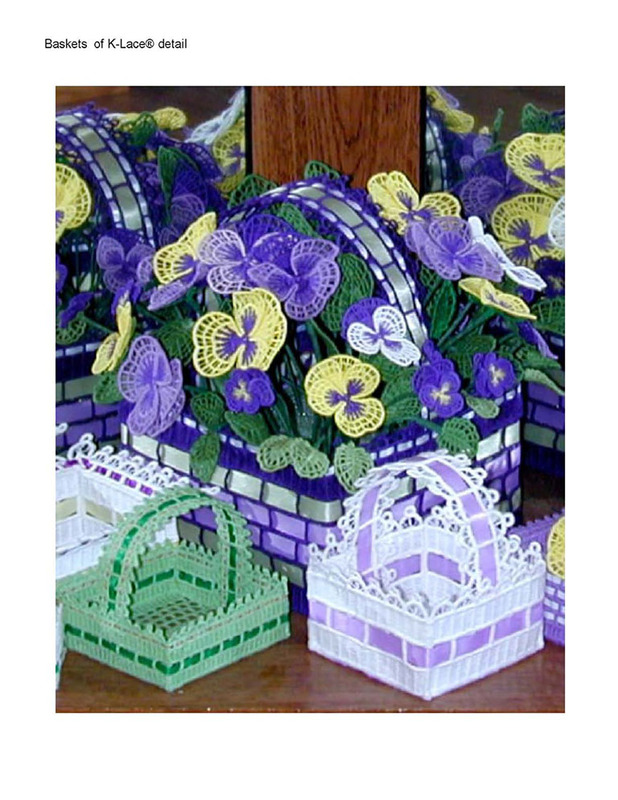 Square baskets with many size variations, 3D lace pansies in three sizes. 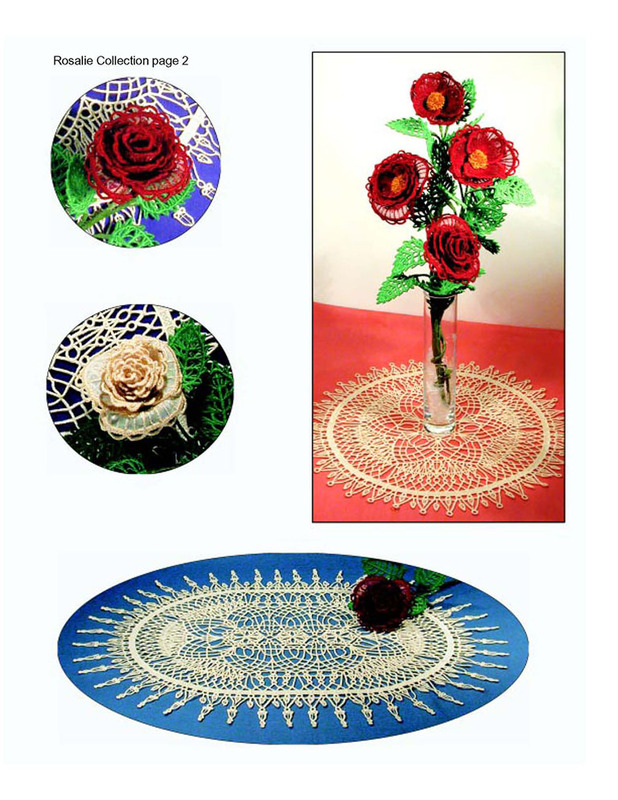 3D roses and doilies in three shapes. 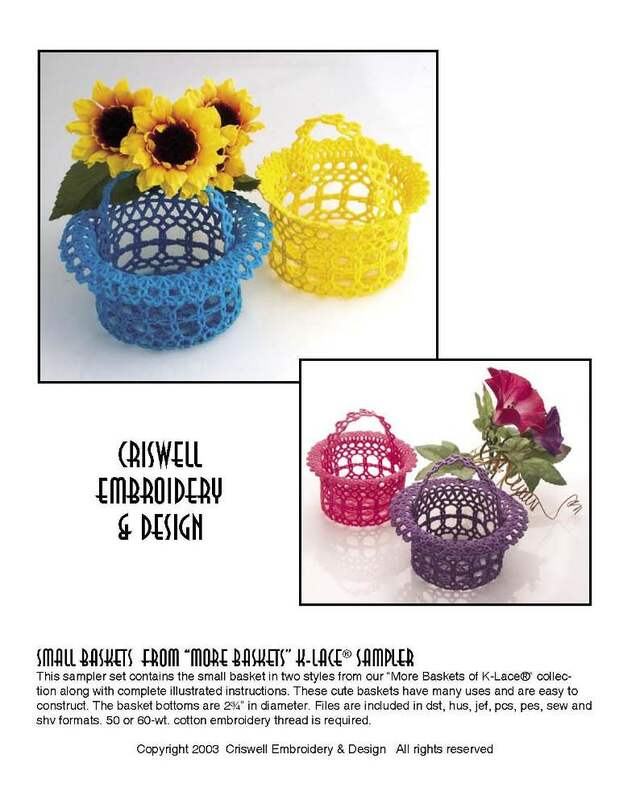 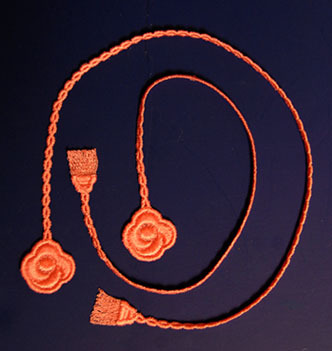 Two small lace baskets from More Baskets of K-Lace. 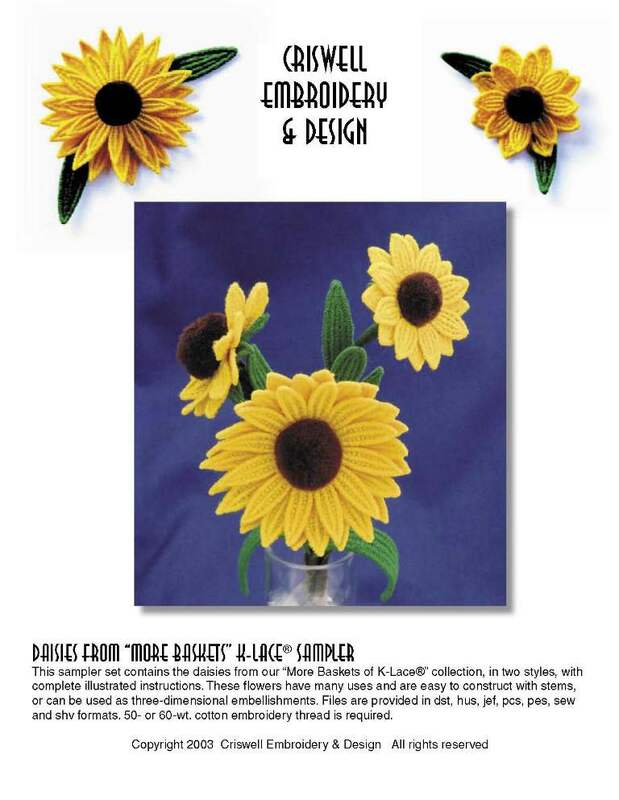 Freestanding lace daisies from More Baskets of K-Lace. 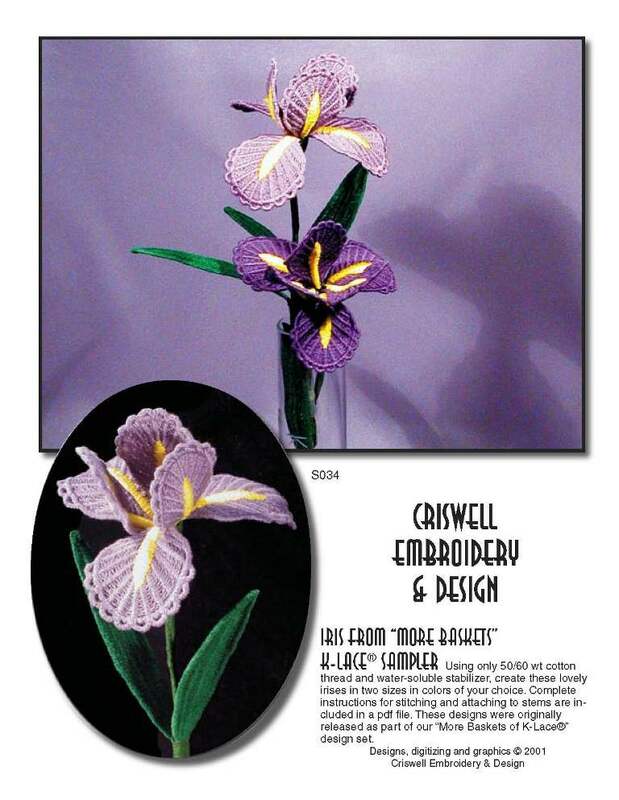 3D iris from More Baskets. 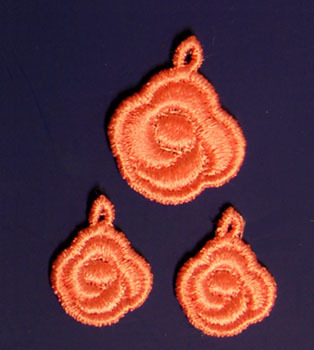 Stitch all in the hoop.